More companies than you might imagine rely on rail. Whether it's e-commerce packages traveling cross-country to get sorted and positioned for last-mile local delivery, or commodities traveling from manufacturer to factory, a tremendous number of the products we try, buy and rely on take a trip or two by train before they end up in our hands. Businesses couldn't function, and shoppers couldn't shop, without the rail infrastructure or the logistics providers that leverage it. And for decades, OmniTRAX has been a leader in helping customers in all areas of business get what they need, when they need it, by rail. But while streamlining the movement of products from point A to point B along the tracks has always been OmniTRAX's modus operandi, the shipping company recently found that it could do even more to enhance their customer experience through better processes. SpringCM was the contract management solution for the job. For OmniTRAX, contractual agreements are as critical to moving things by rail as the train tracks themselves are, as Jeanette Wayne, senior director and PMO of OmniTRAX, explained. And it's not a matter of a simple, single contract per customer, or even per deal. Because of that, OmniTRAX had amassed a mountain of paperwork. With more than 140 different types of contracts for use in specific situations, a massive customer base and a whole world of potential contractual situations that would require negotiating ancillary clauses, dotting “i”s and crossing “t”s was a laborious process. The result was a bottleneck. OmniTRAX was risking customer satisfaction, with contracts taking two weeks to 40 days just to get into the hands of the customer for review. The process wasn't just inefficient; it was expensive. The company calculated that it was spending 10 full-time employees per year handling contracting-related tasks, paying for storage and so on. Seeing the aggregate amount of money it was pouring into inefficient processes, OmniTRAX knew it had to make a change. OmniTRAX surveyed the major contract management vendors. The contract management system that OmniTRAX was looking for needed a few critical characteristics above all others. The solution needed to be a central, virtual repository where all the company's contracts could reside. And it needed to be constantly available online and via mobile, so that anyone working throughout OmniTRAX's customer ecosystem could get their eyes on a contract as soon as possible, regardless of their location or time zone. SpringCM did all of this out of the box -- at an affordable price. The choice, for OmniTRAX, was obvious. “Choosing SpringCM was so easy,” Wayne said. Since implementation, SpringCM has been proving its value. And not just by hitting those baseline benchmarks for success that OmniTRAX had set down. With its slew of next-gen features for contract lifecycle management, SpringCM has exceeded expectations. With SpringCM in place, OmniTRAX quickly began meeting its initial goals. It eliminated paper storage fees and redeployed staff to more effective tasks than pushing paper. And it drastically increased the accuracy of its contracts and the speed of the contract cycle. And as the company hit these benchmarks, it started making use of advanced features that SpringCM has to make contracting processes even easier. OmniTRAX started using contract templates, making those 140 different types a snap to generate. It leveraged SpringCM’s OCR technology to make perfectly-readable, editable virtual copies of its paper contracts. It began utilizing SpringCM’s advanced redlining capabilities, turning the contract review process from a headache-inducing game of “find the clause” to a fruitful and convenient collaborative effort with customers. And it set up integrated e-signing, allowing the right parties to put their official signatures on a document from any device. And thanks to OmniTRAX now having all of these next-gen features at its disposal, the company has opened its eyes to better ways of doing business. The freight trains that carry product to and from OmniTRAX's customers are still traveling at the same speed, and a streamlined contracting process means no unnecessary delays when the train is pulling out of the station. 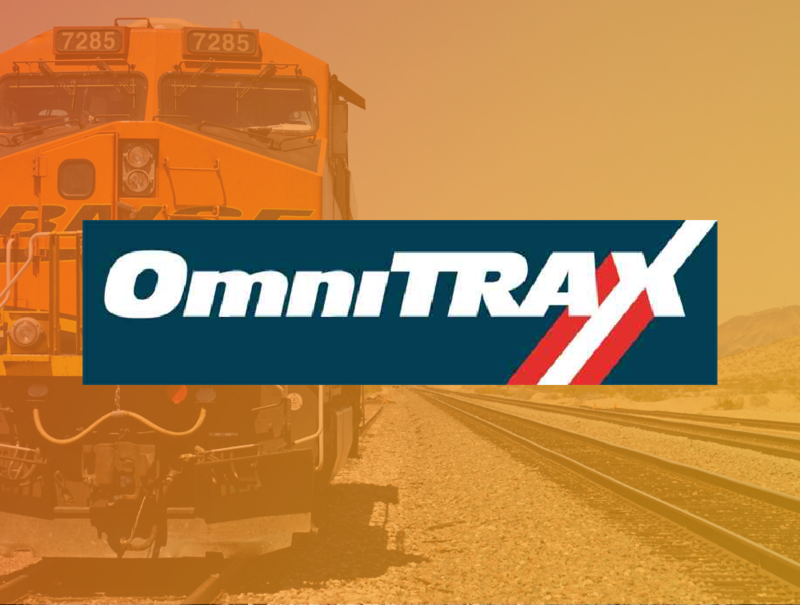 Rail is really made easy for customers; and it's easy for the dedicated staff at OmniTRAX to make it that way. And if there's one wish that those inside OmniTRAX have about SpringCM, it comes from the legal department; they wish the company would have rolled it out sooner.